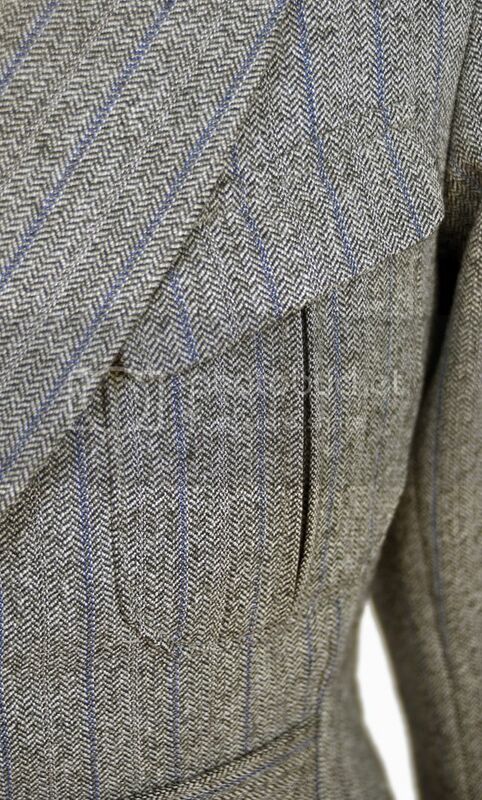 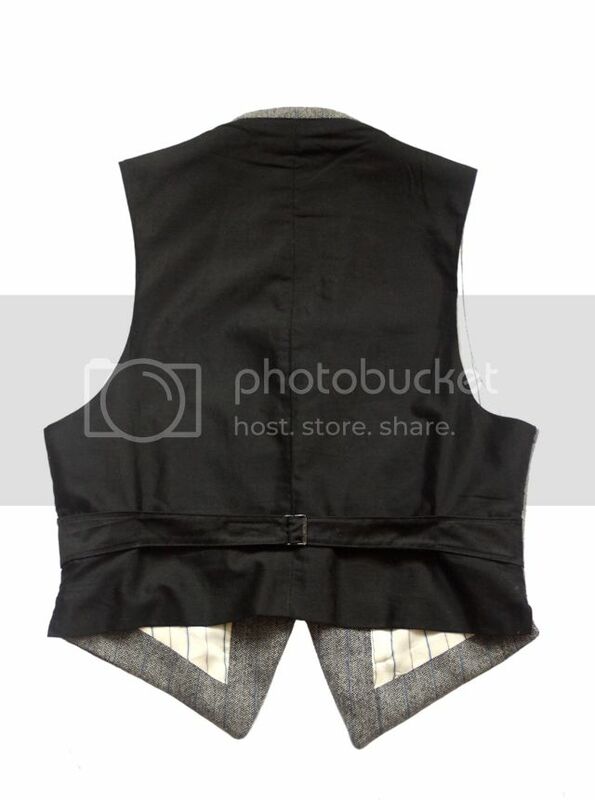 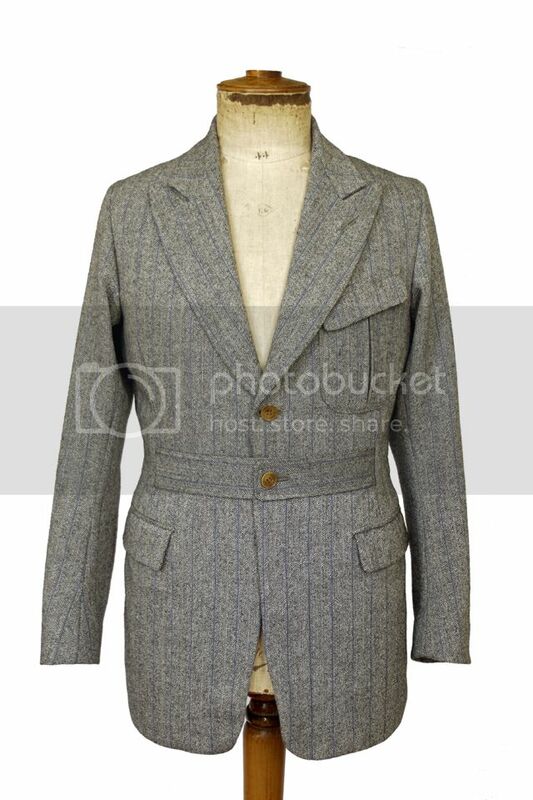 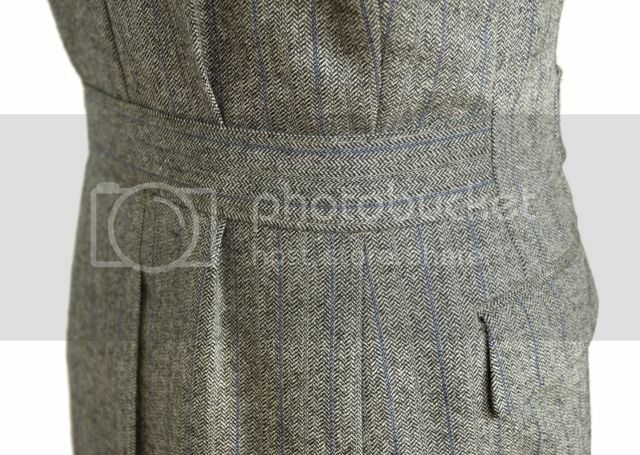 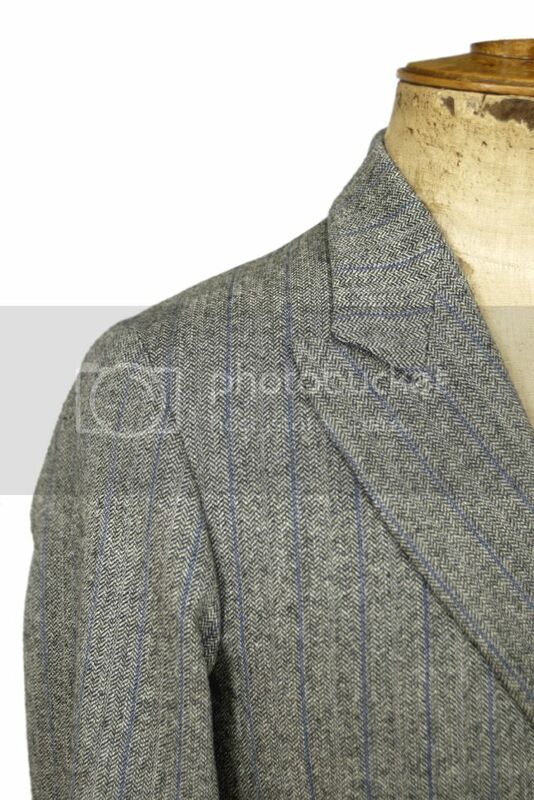 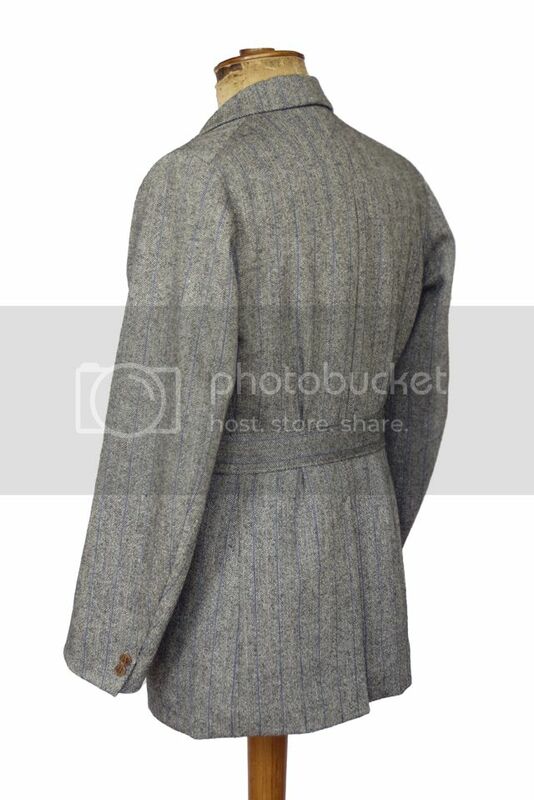 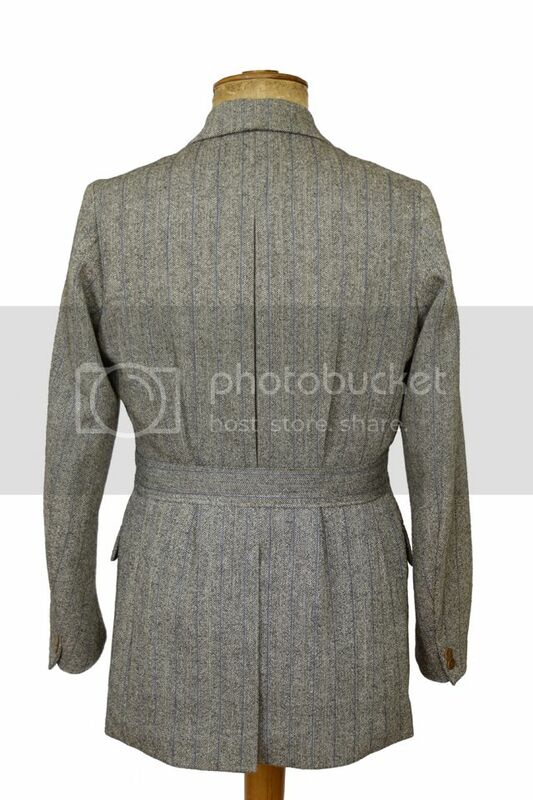 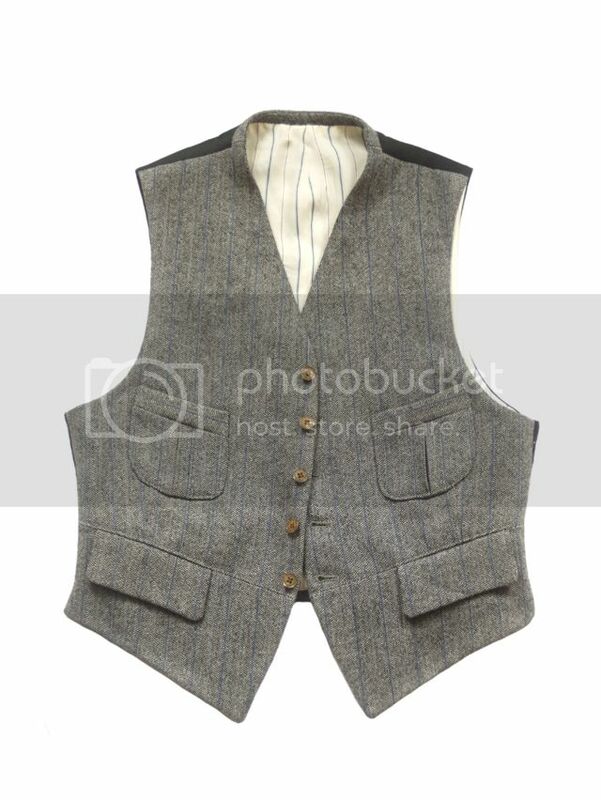 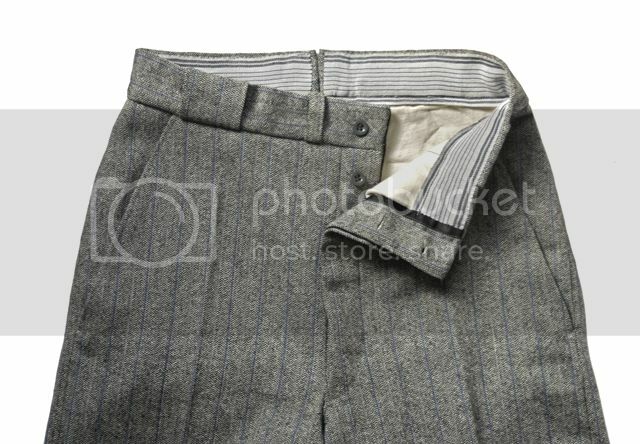 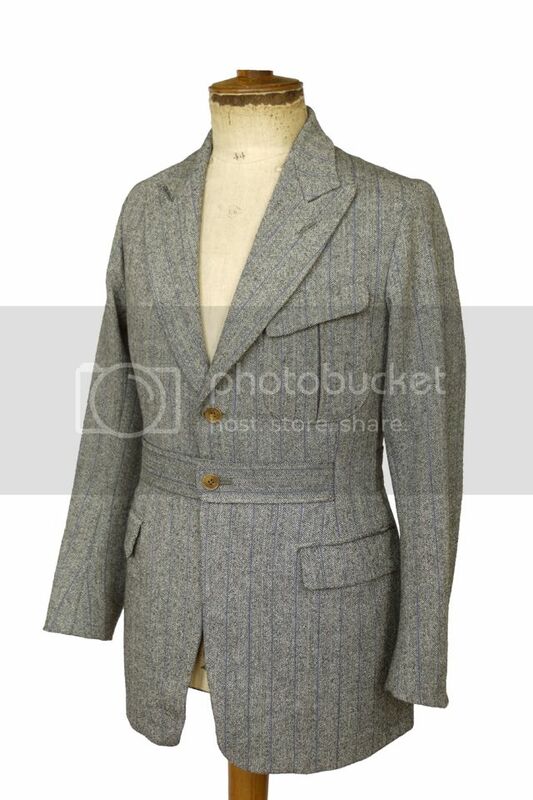 early 1920s style narrow shouldered suit. 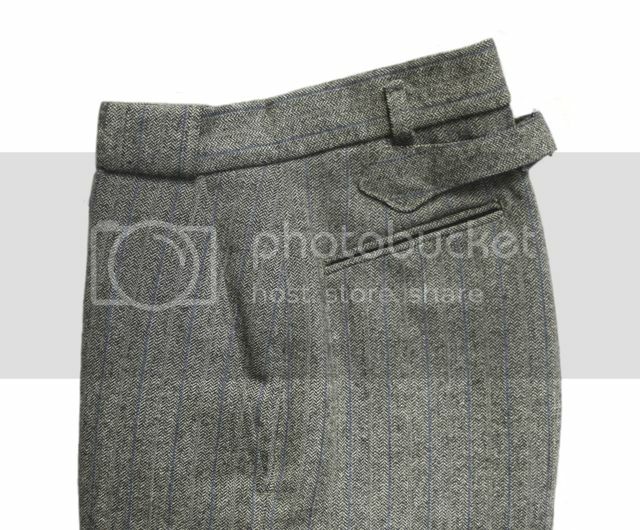 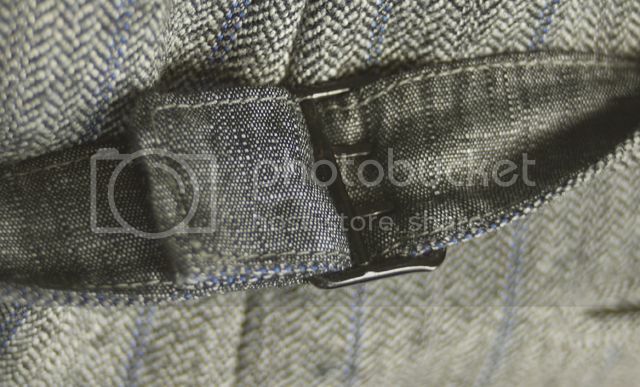 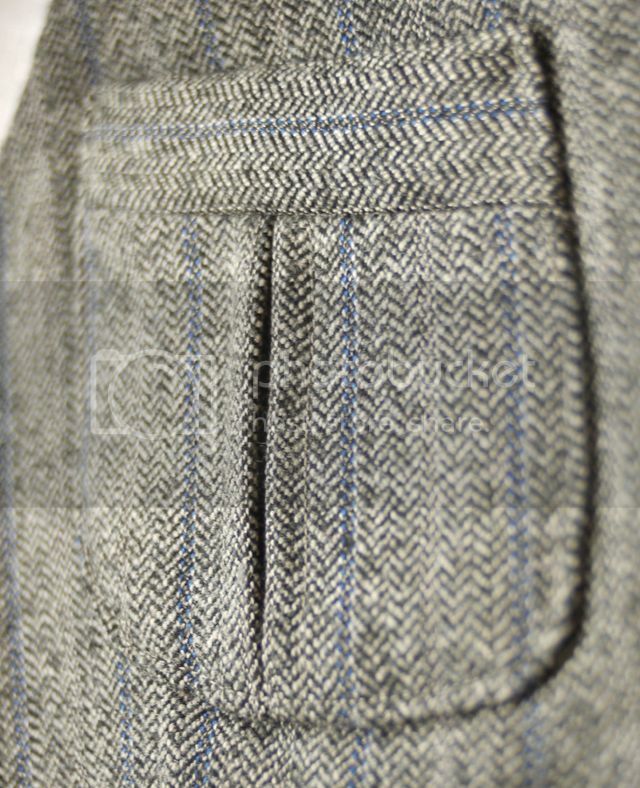 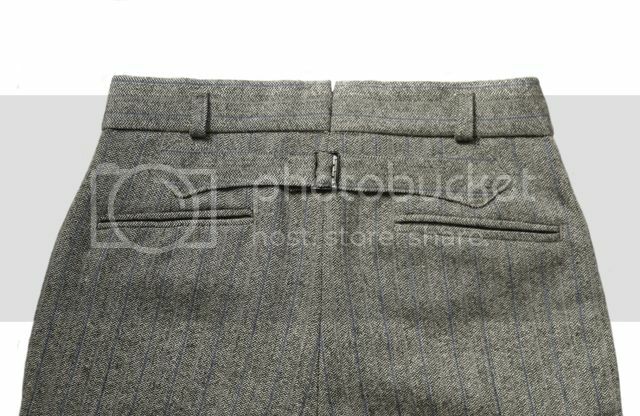 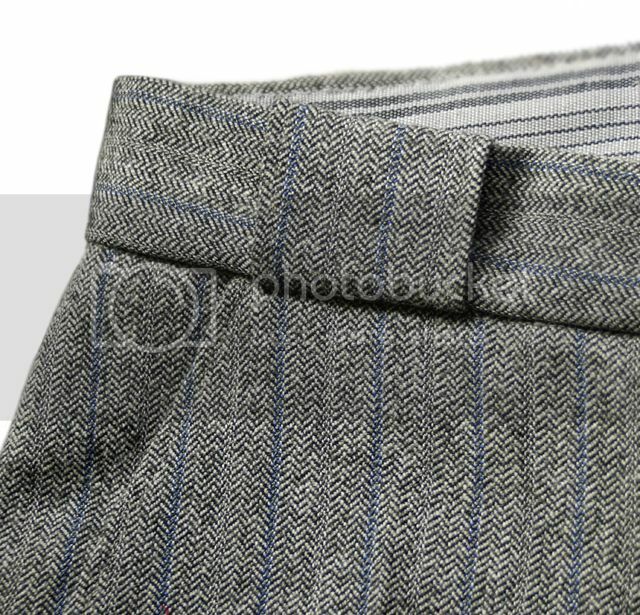 vintage 18 oz tweed, probably 1930s. 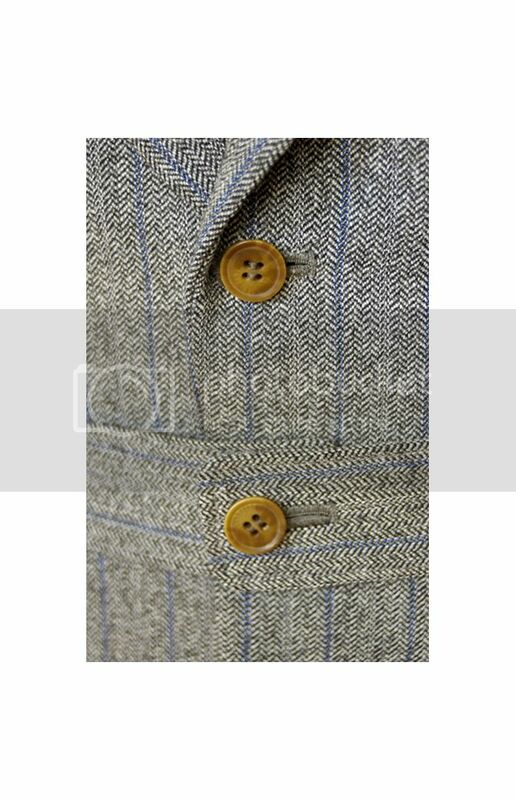 vintage buttons, sleeve lining and cinch buckle. 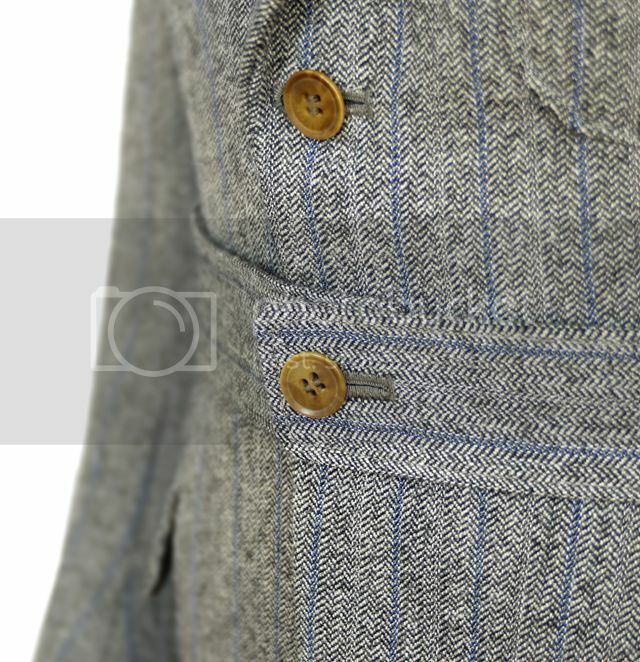 beetled chambray linen on cinch strap and pocket flaps.